Candidate will serve as an EW sensor engineer for the Electronic Warfare Division at NAVAIR Weapons Division, Point Mugu. 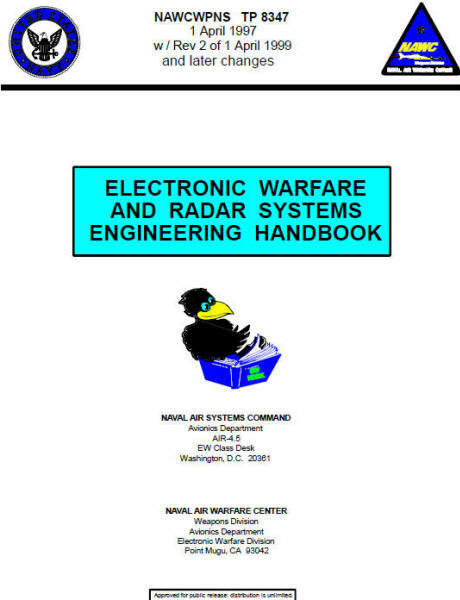 The major responsibilities include the evaluation and analysis of various radio frequency (RF) INTEL data, design and development of Mission Data files/libraries and the defining system requirements and design for EW systems. Responsibilities also include writing and updating intermediate and final technical documents including system requirements and design specifications/documents, white papers, and engineering notes. The incumbent will participate in project related meetings (milestone reviews, status, design, etc.) and be responsible for hosting and conducting technical meetings and teleconferences. BS or higher degree in Aerospace Engineering, Electrical/Electronic Engineering, Computer Engineering, Mechanical Engineering, or Computer Science. Naval Air Systems Command (NAVAIR) serves the nation and the Navy by developing, acquiring, and supporting aeronautical systems that can be operated and maintained at sea. Products and services include avionics, air- and surface-launched weapons, electronic warfare systems, cruise missiles, unmanned aerial vehicles, fixed and rotary wing aircraft, launch and arresting gear, and training systems. NAVAIR provides total life-cycle support of our products from research, design, development, and engineering; acquisition; test and evaluation; repair and modification; and in-service engineering and logistics support. The mission of NAVAIR's Weapons Division is to provide our Armed Forces with effective and affordable integrated warfare systems and life-cycle support to ensure battlespace dominance. Perform research, development, test, and evaluation, logistics, and in-service support for guided missiles, free-fall weapons, targets, support equipment, crew systems, and electronic warfare. 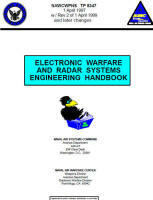 Note: These are the folks that produced the extremely popular Electronic Warfare and Radar Systems Engineering Handbook!